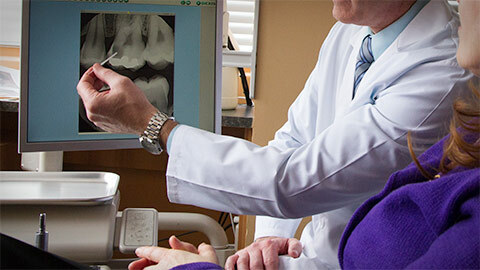 Endodontics is the area of dentistry that focuses on dental pulp. When a patient experiences pulp damage that threatens the health of the entire tooth, then Dr. Rocca will recommend a root canal. Root canals seem to bring out the fear in people, but there’s nothing to worry about. A root canal is a common procedure where the damaged root is removed and replaced with a filling material. The hole is sealed, and the tooth is left in to provide a foundation for future restoration with a crown when necessary. If you have any questions about root canals -- or suspect you may require one -- please contact Dentistry at The Point today.